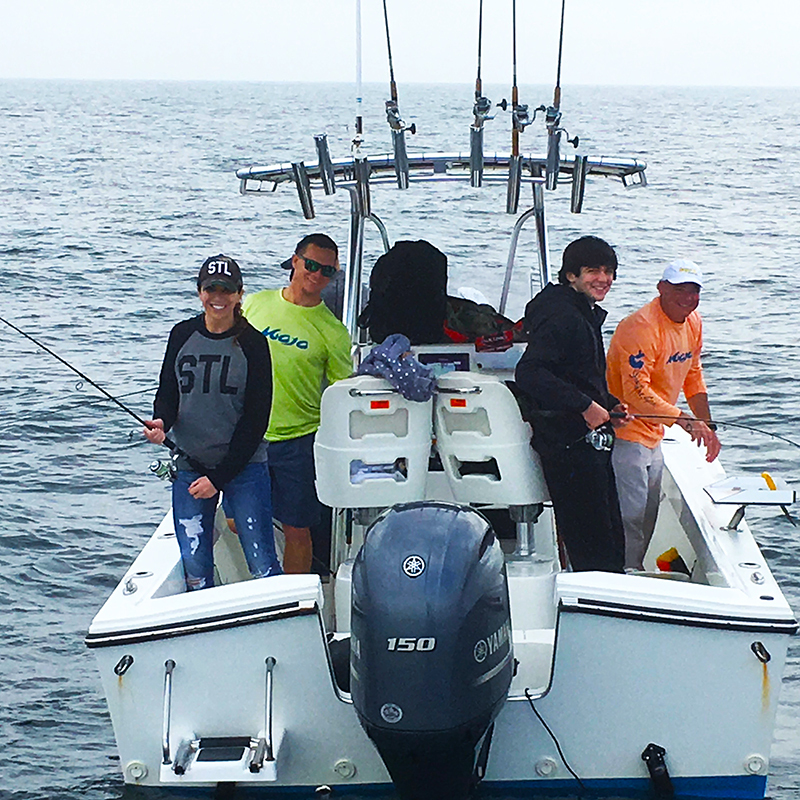 Your private Destin fishing trip can be booked morning or afternoon with 4, 5, 6, or 8 hours (full day) on the water. Kids trips are available for afternoons only and last 2 hours. Join Captain Dennis on a first class fishing adventure aboard a 2015 Cape Horn center console fishing boat powered by 2 150HP Yamaha engines with a maximum cruising speed of 40 knots. At 25’, this well-proportioned boat has space for up to six people. Bring the family along and get ready for a trip to remember. On board, you will find plenty of storage space, a livewell for your bait, a T-top for shade, and even a toilet in the center console. Captain Dane’s 2016 23 ft Parker is equipped with a Minn Kota I Pilot trolling motor. It has lots of fishing room for up to 4 guests. There are T Tops for shade. This boat does not offer a bathroom. Both fishing boats supply water for customers. You’re welcome to bring small soft coolers ( no large coolers, please). Wear boat friendly shoes ( no black soles unless they’re flip flops, boots, or heels of any kind). If you’d like to request a trip or ask a question, please complete the handy form below and we’ll get back with you just as soon as possible. How Did You Find Us? * TripAdvisor Google Search Referral Other How Did You Find Us? When the captain confirms your trip, please provide a $100 deposit to guarantee your reservation. You're welcome to make an online payment by Credit Card or Paypal with your Paypal account or as a Guest. Please ensure you've confirmed your date with Capt Dennis or Capt Dane. If the remaining balance for your fishing trip is not paid online or directly with Capt Dennis or Capt Dane prior to your trip, the remaining balance is to be paid directly to your Captain on your trip date in cash or via credit card (Visa, Mastercard). When paying the remaining balance with a credit card, a 5% fee will be added.